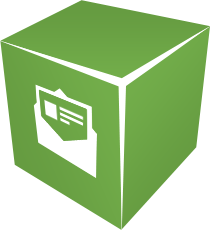 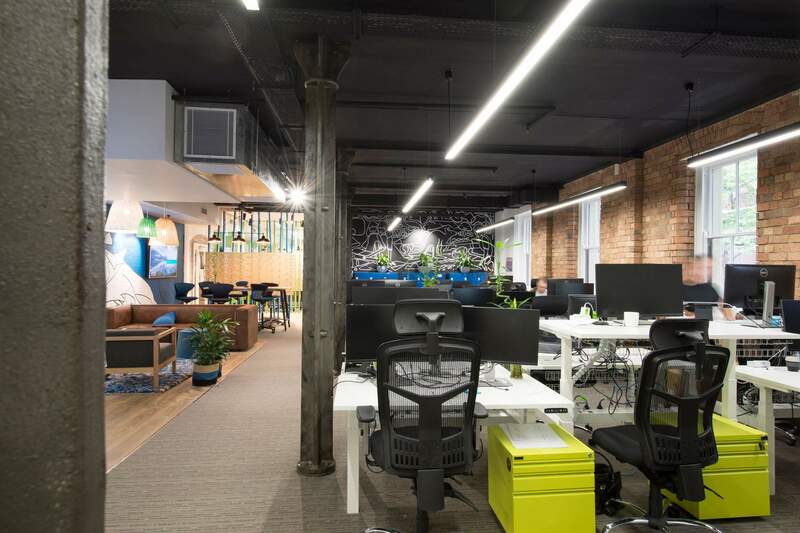 Envato is a value-based organisation focused on community, entrepreneurship, diversity, and integrity. 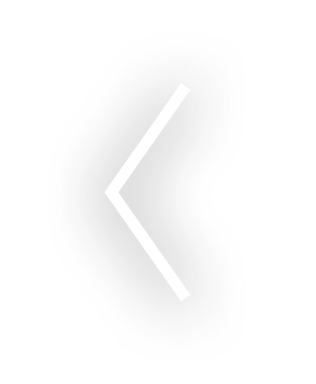 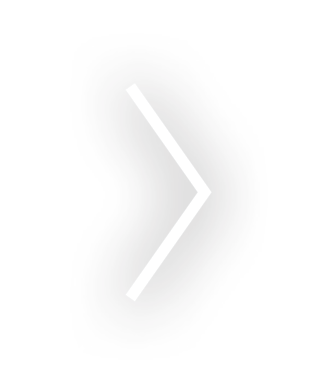 It is the world’s leading marketplace and largest global community for creative digital assets and creative people. 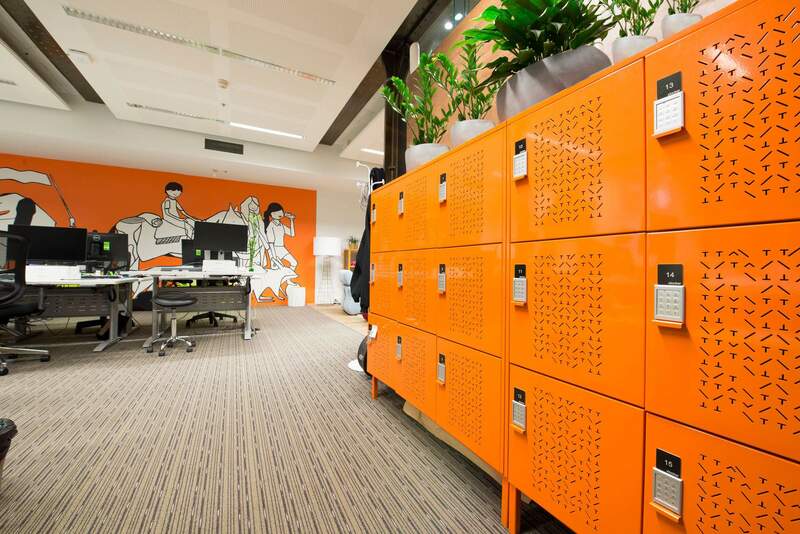 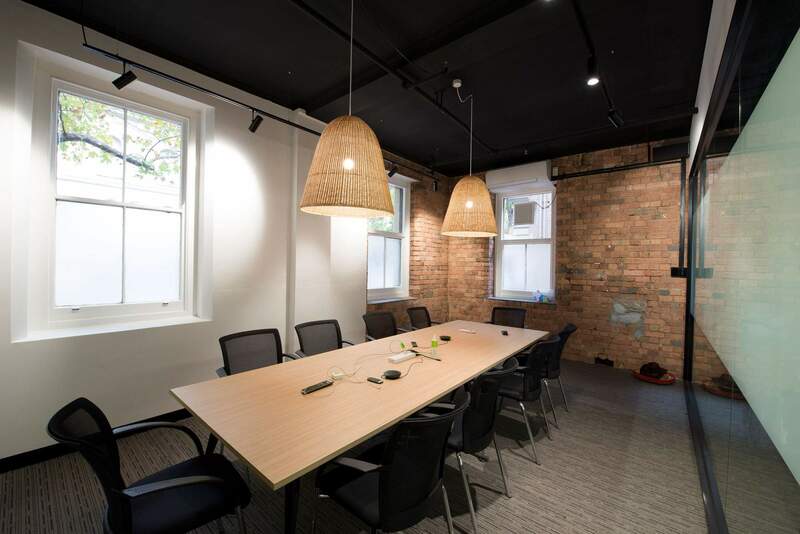 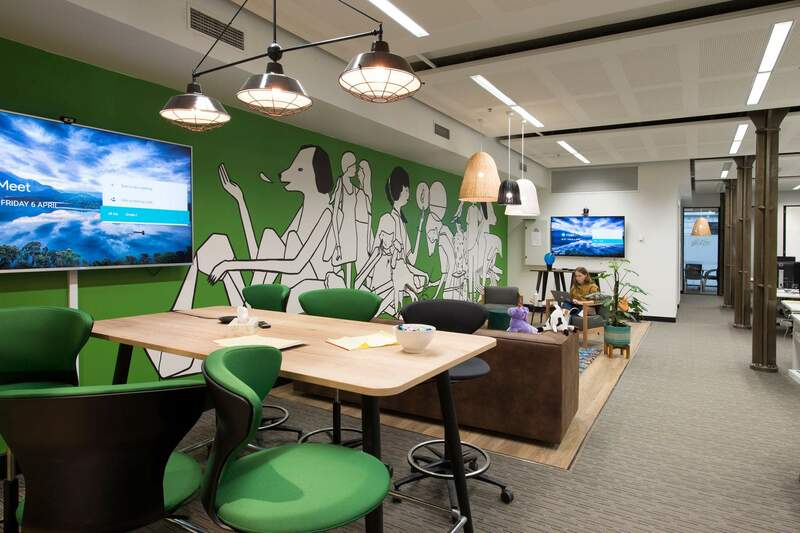 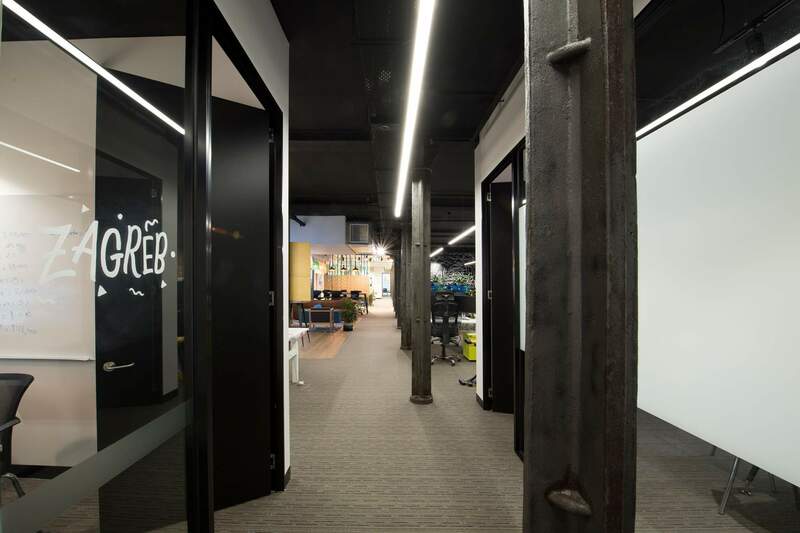 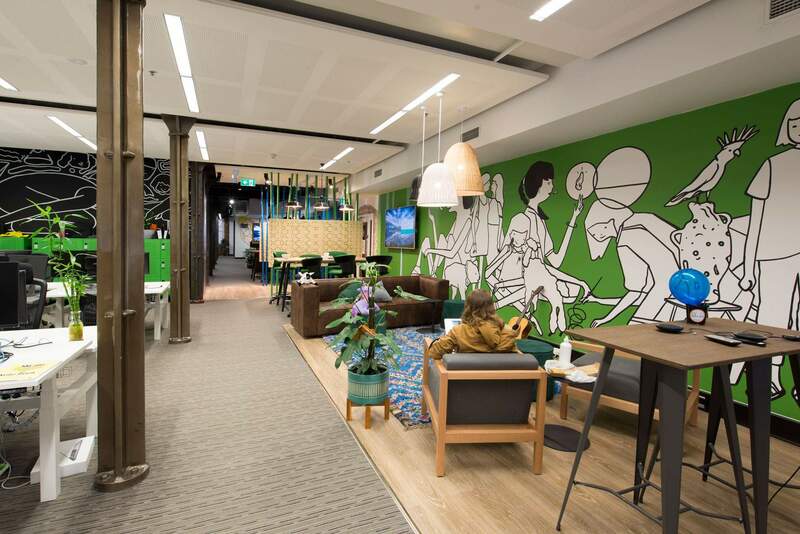 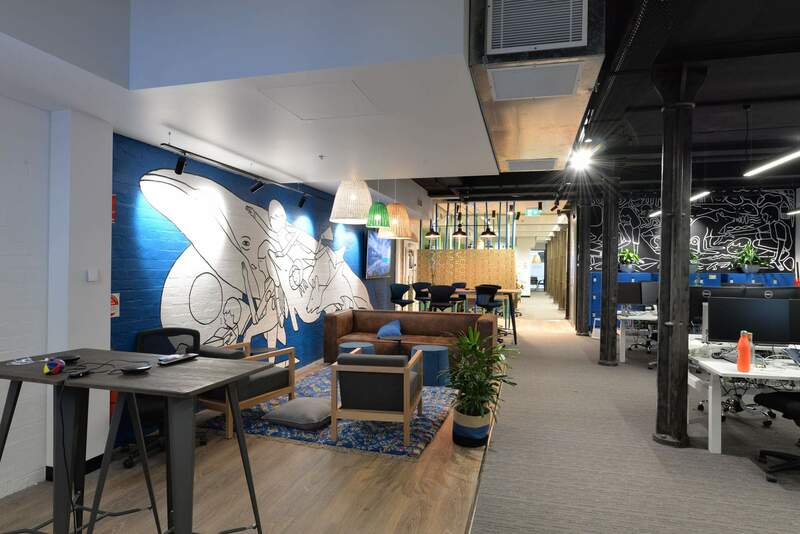 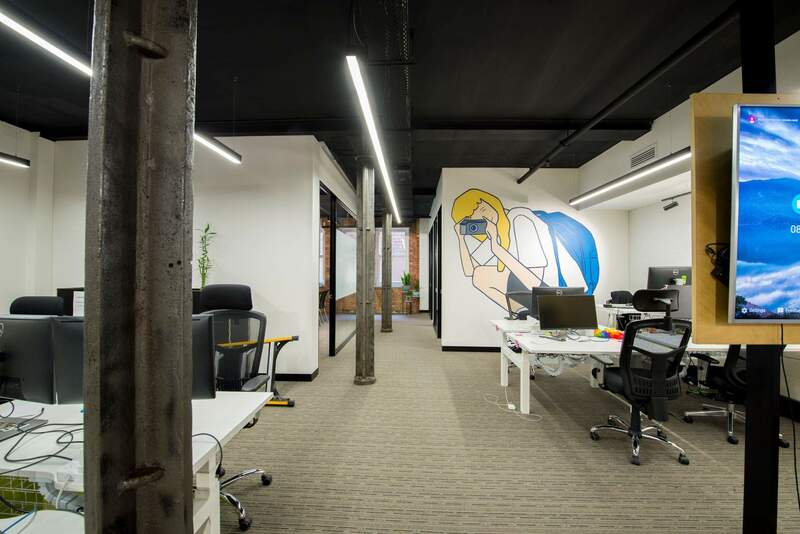 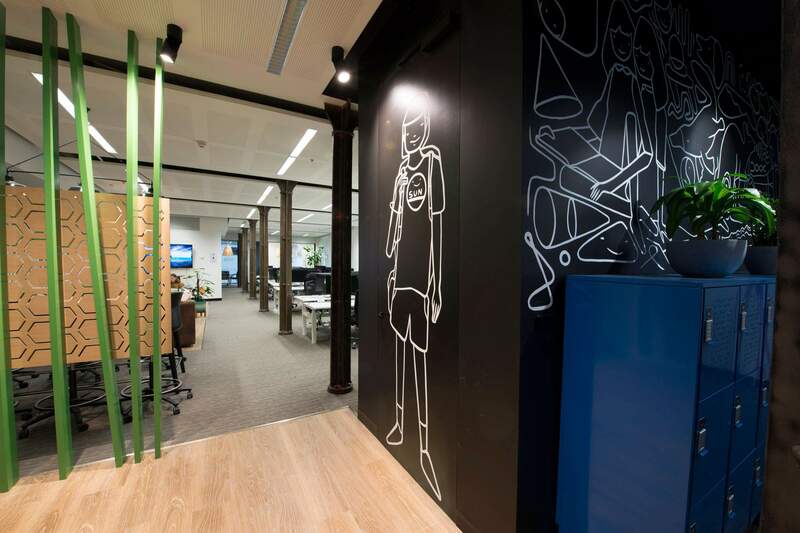 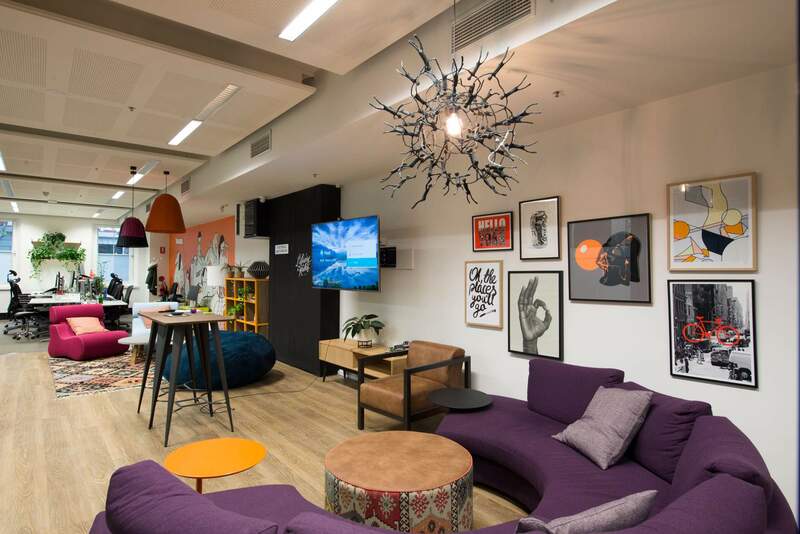 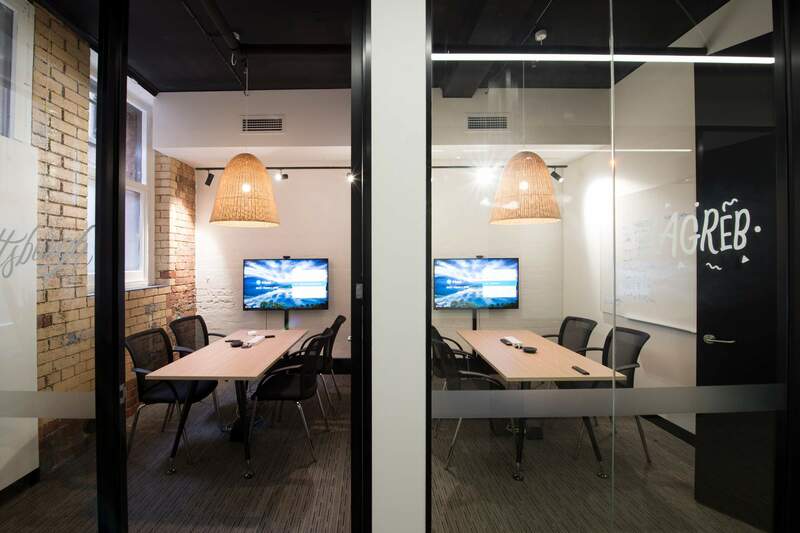 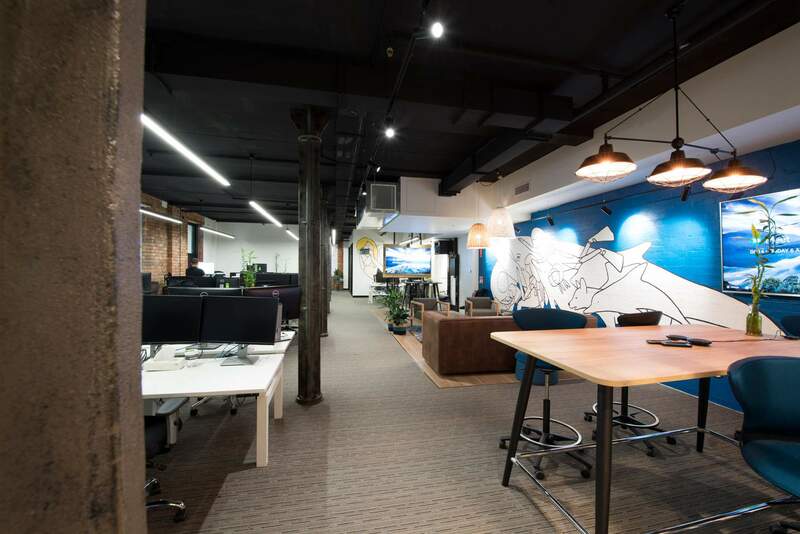 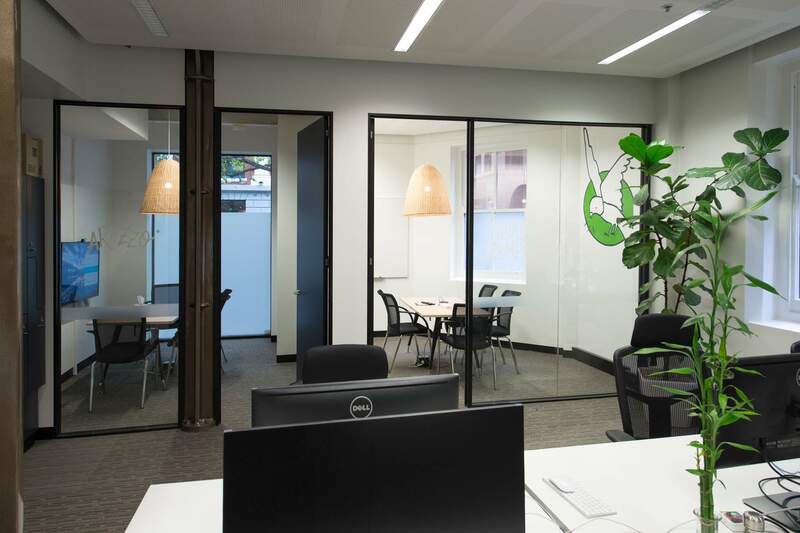 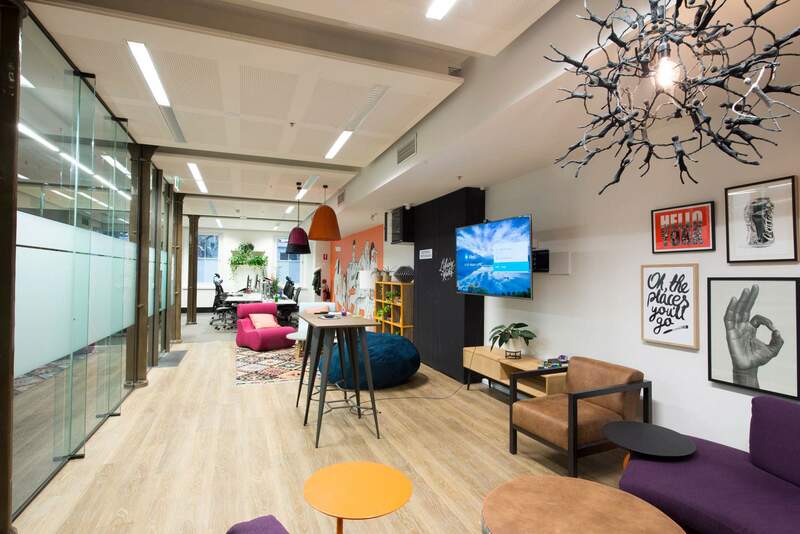 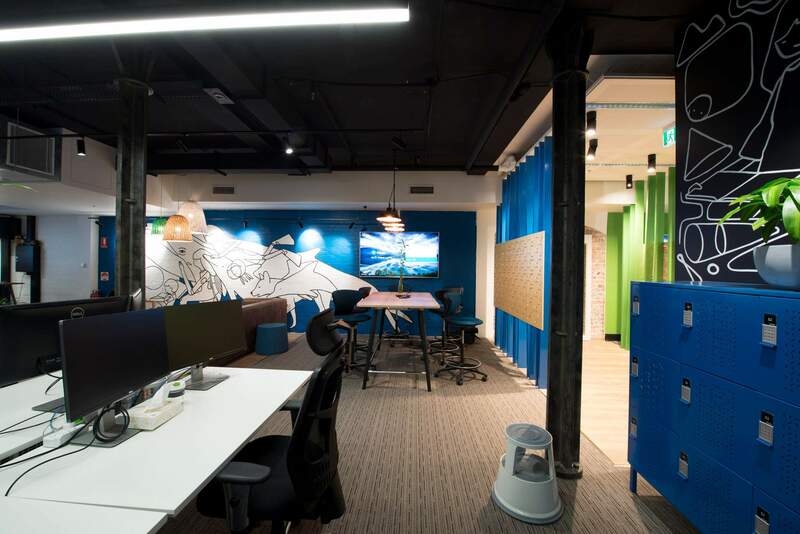 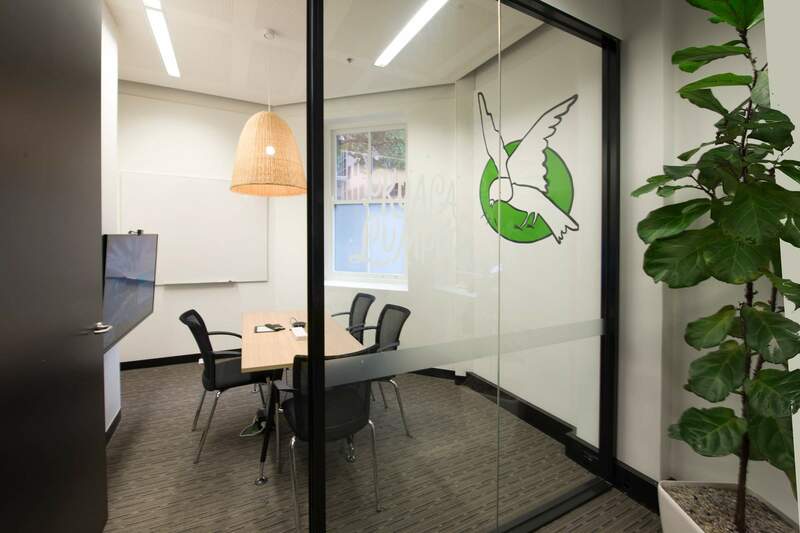 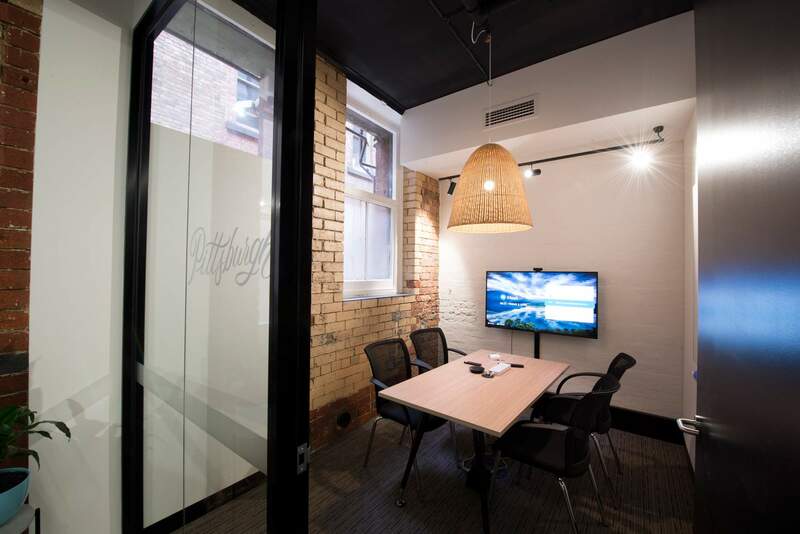 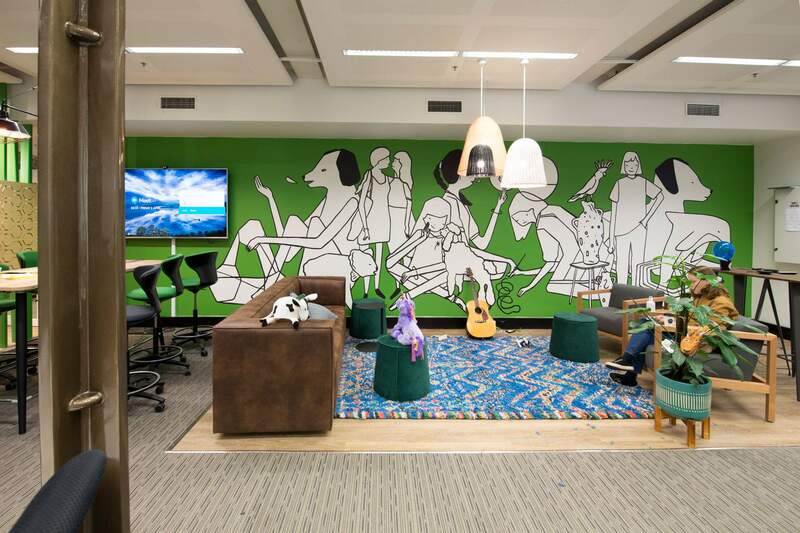 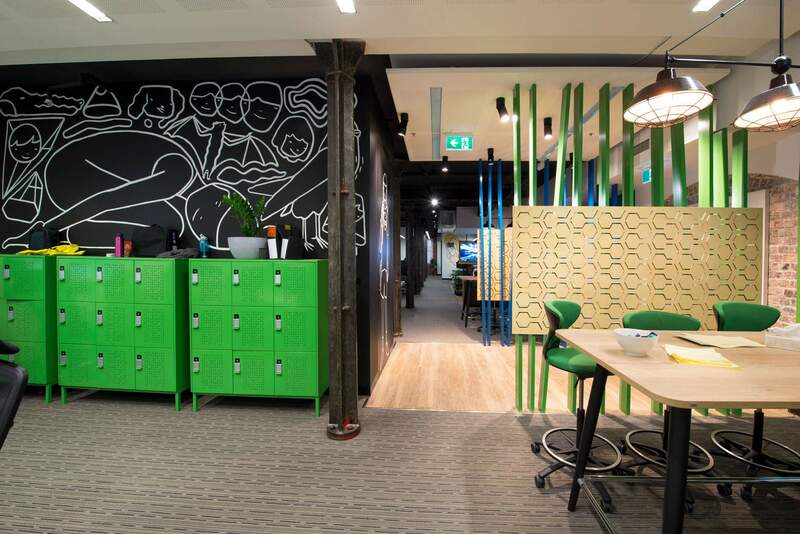 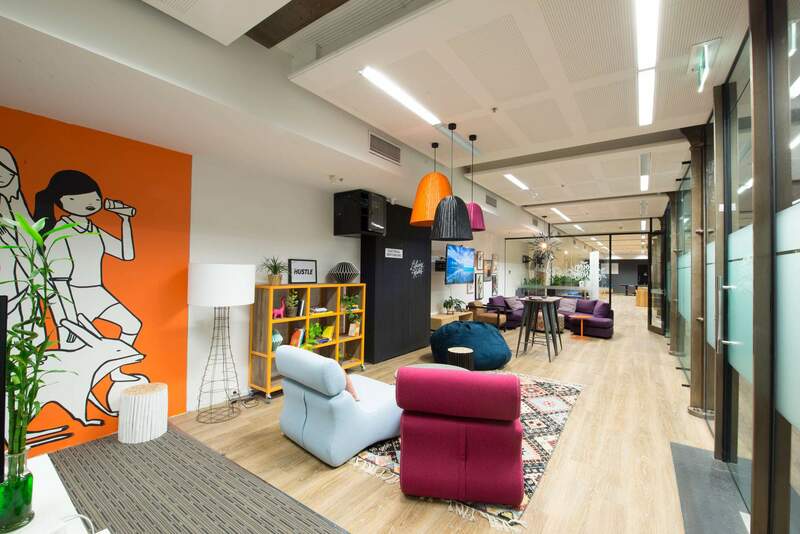 The brief given to IN2 SPACE was to refurbish the existing Envato Melbourne Headquarters to allow the nurturing + growth of the already dynamic culture of the organisation + to facilitate a layout that would allow business structures and collaborations to operate effectively whilst providing flexibility to cater for business shifts. 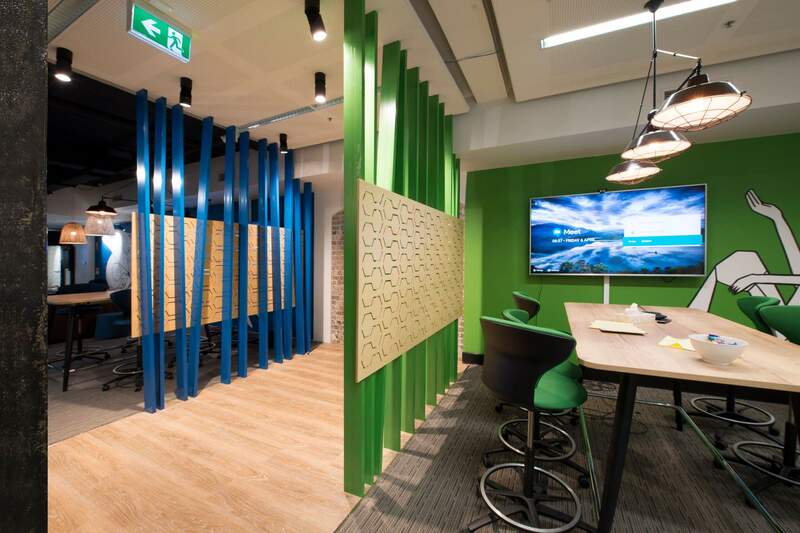 The business is housed in a space that has individual and unique characteristics with exposed steel columns and high volume concrete beamed slab ceilings fitted out with acoustic drop panels for improved sound ecology. 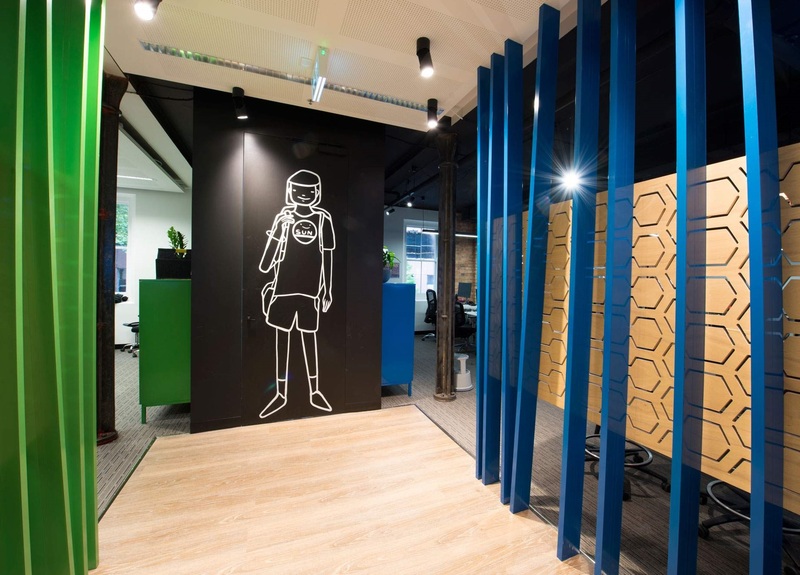 The design solution arrived at by IN2 SPACE was to introduce feature colours to identify neighbourhoods over several floors and create breakout spaces as part of a dynamic and extremely flexible layout allowing for its various groups + functions to change + shift as required whilst maintaining integration, cohesion and collaboration. 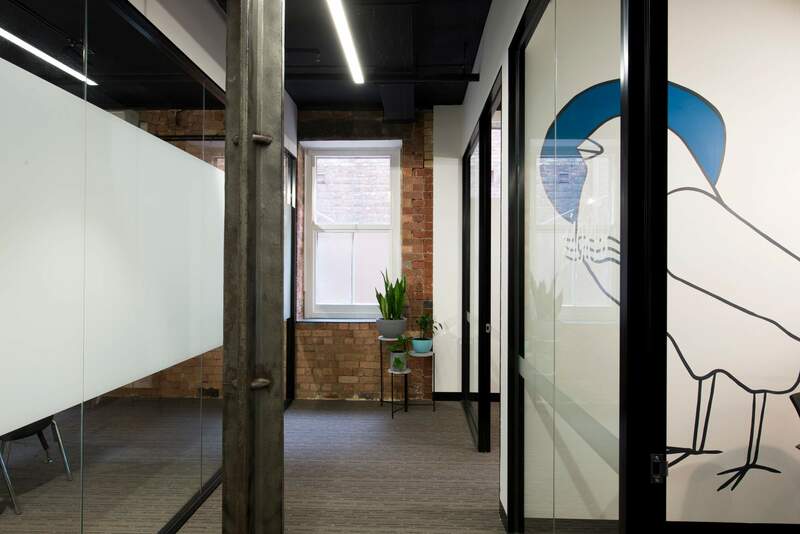 Working in close collaboration with a street artist and a stylist, IN2 SPACE coordinated and set the tone and direction for the office space. 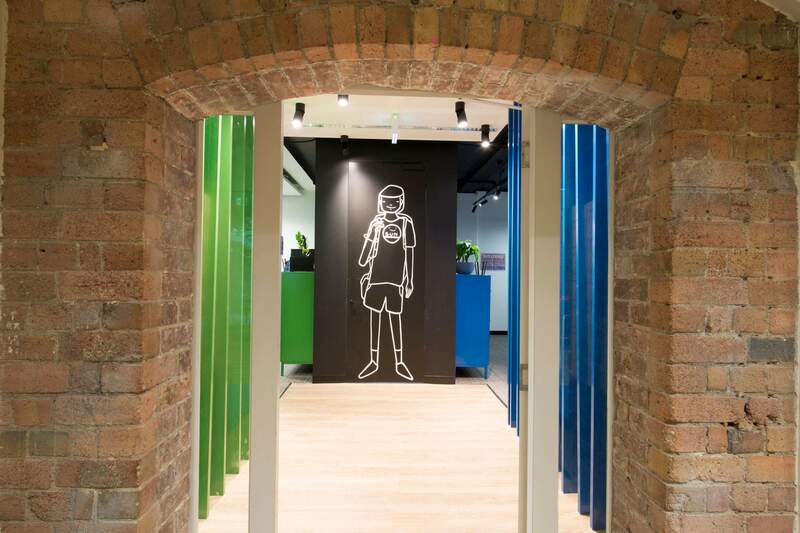 Strong bold colours were used to create colour themed neighbourhoods over the 3 floors. 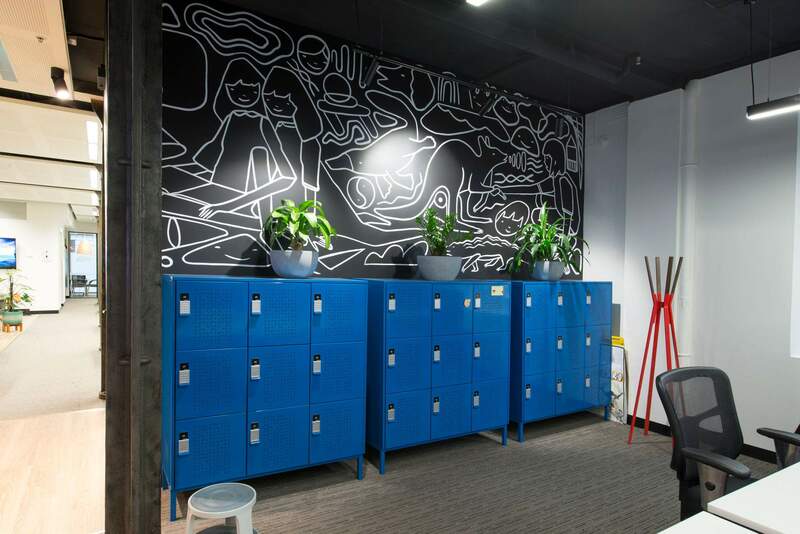 Personal lockers in each area echo the neighbourhood’s identifying colour. 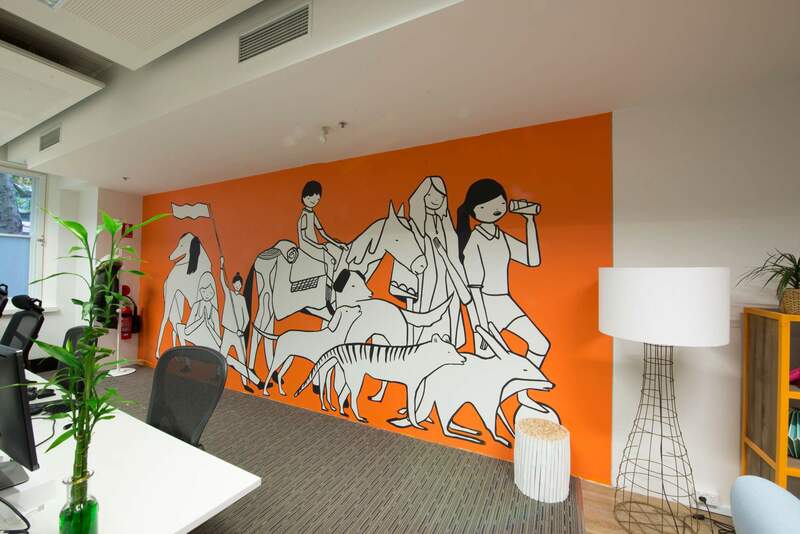 Street style art graphics were also employed on walls to create focal points to punctuate the space. 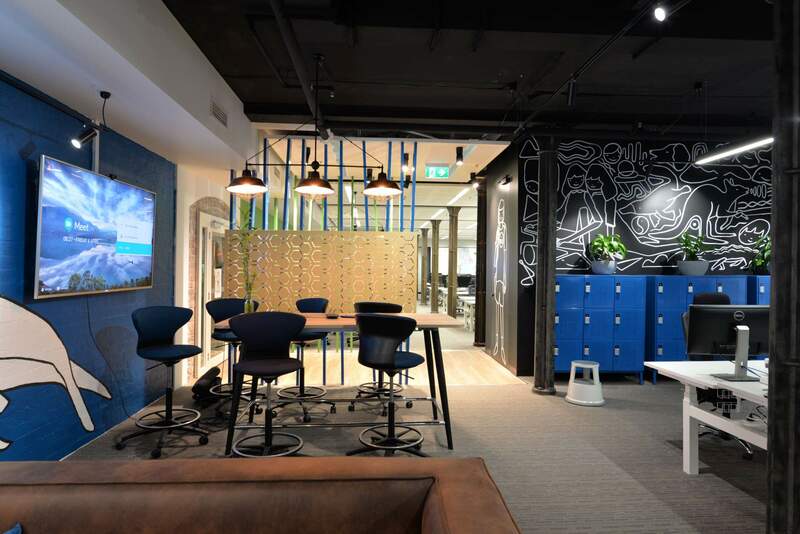 The breakout spaces are reminiscent of Moroccan bazaars furnished with eclectic and quirky items to reinforce the creative + forward thinking nature of the business and its staff. 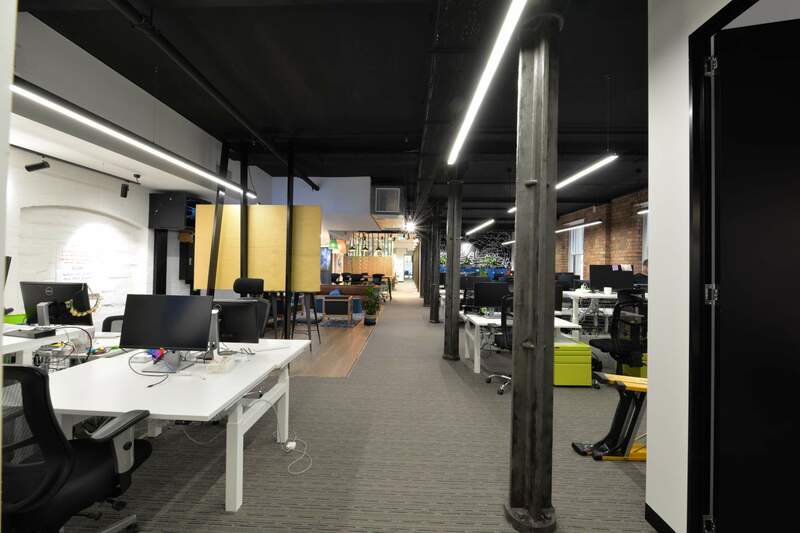 Materials and finishes such as minimally treated concrete floor slabs, clear lacquered plywood privacy panels, exposed concrete surfaces, polished timber floor boards + exposed pendant light fittings were chosen to compliment the industrial feel of the space and reinforce the relaxed nature of the business. 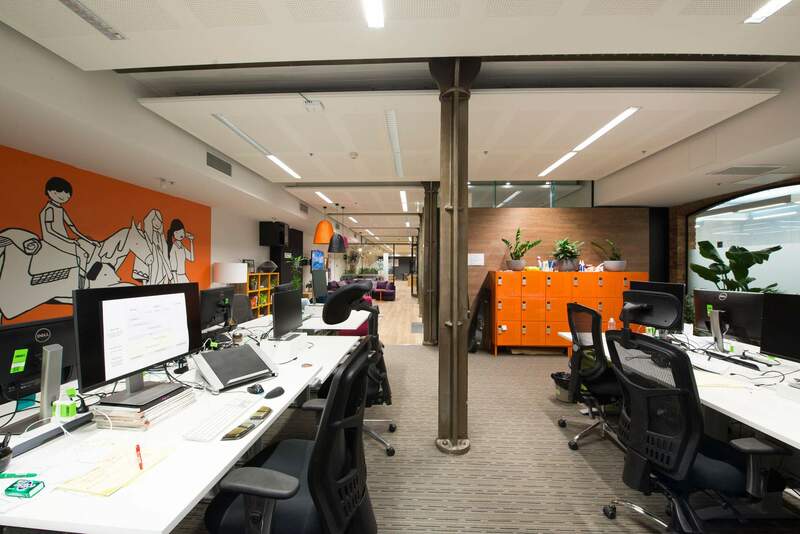 The morale + enthusiasm of the staff in the business has risen enormously + the workspace has an extremely stimulating and exciting dynamic associated with it.